Every day we make new discoveries, deliver excellence in our field and forge partnerships that will have a global impact! One more turnkey DP2 conversion awarded to Team TRITEK. The recent order from Allianz Marine Services LLC for a conversion of the Fast Crew Vessel of Damen Design classed with Bureau VERITAS. The vessel is currently a DP-1 with NAVIS Dynamic Positioning System. The conversion involves: Installation of additional diesel generator to meet the additional power requirements. Up gradation of the Main Switchboard and Power management system in line with DP2 requirements. Segregation of the power for propulsion plant etc, in line with the redundancy Concepts required in Dynamic positioning -2 vessels. Interfacing & installation. The project is on a fast track and on completion of the upgrade; the vessel will obtain a notation DYNAPOS AM/AT R from Bureau VERITAS & will be installed with a redundant Dynamic Positioning system from NAVIS ENGINEERING, associated reference sensors which will include a Fan Beam laser reference sensor and additionally a Radius microwave radar sensor to meet ARAMCO charter requirements. This turnkey project will be executed at Albwardy Damen Shipyard UAE. We, thank ALLIANZ MARINE SERVICES LLC for the trust placed in Team TRITEK. Tritek was awarded the turnkey Dynamic Positioning 2 conversion of a Conan Wu designed 67 meters Anchor Handling Supply Vessel classed with ABS. 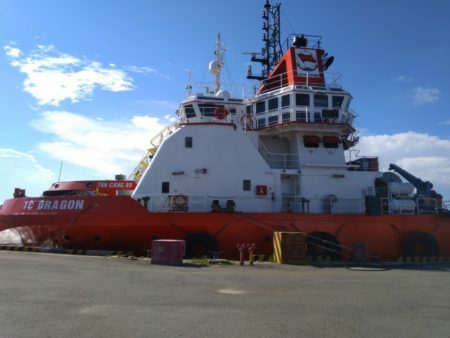 The vessel is currently a non DP vessel with Rolls Royce main propulsion, one Bow tunnel thruster, 1 Retractable bow azimuth thruster and a Stern tunnel thruster. On completion of the upgrade the vessel will be installed with a redundant Dynamic Positioning system from Marine Technologies and associated reference sensors which will include a fan beam laser reference sensor, with the option to install a fourth reference sensor viz; a microwave radius reference sensor. This turnkey project will be executed at Vung Tau in Vietnam. This is the third Dynamic Positioning Conversion being carried out for vessel owners in Vietnam. Team TRITEK Thanks Tan Cang Offshore Services for its continued trust and support! The technical team at Tritek has been working round the clock since first week of December 2018 on the design, engineering and assembling of Main Switchboard, power management system and Propulsion Controls for Retractable Azimuth Thruster for a Dynamic Positioning Cable laying vessel conversion project. The propulsion power plant consists of 6 X 1000KVA Diesel Generators units. The project is for Cova Group Holdings LTD, and is on a very tight schedule delivery, the switchboards and controls systems are to be delivered in 6 weeks and shipped to the far east for installation on the vessel. Tritek is pleased to announce that we are now the official distributor for Sleipner Motor in the GCC region, marketing and selling “Side-Power” bow and stern thrusters in the workboat market. Sleipner was founded in 1908 in Norway, and has offices in UK, Germany, Denmark, Sweden and Finland along with various distributors around the world. With their substantial industry legacy in mind, Sleipner strives to engineer and manufacture products you can rely on. The Side-Power thruster range is the leading and most innovative thruster brand in the world. Side-Power manufacture the world’s most comprehensive line of thrusters for leisure boats and smaller commercial boats, offering suitable thrusters for almost every boat under 160 feet. Side-Power thrusters are offered in several versions to satisfy all requirements, such as the SE Series, SE IP Series, SE PRO Series, SE IP PRO Series, etc. As well as Hydraulic thrusters, AC Electric thrusters, Control Panels & Remotes, Thruster Accessories, Stabilizer Systems etc. We are excited to embark on this new journey and look forward to supporting Sleipner in the GCC region! Earlier this year we were contracted to supply the thruster controls for a retrofit project at Yantar Shipyard. The solution involved the supply of the Variable frequency drives and controls systems for 2 X Bow Tunnel Fixed Pitch thrusters and 1 X Retractable fixed pitch Azimuth thruster. The vessel is a dynamic positioning vessel classed with Russian Maritime Registry of Shipping & we delivered the complete solutions in June 2018 and the vessel is now due for commissioning. The vessel was experiencing difficulties on their existing main CPP control systems. 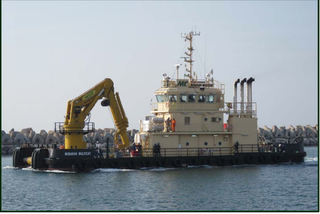 The Mubarak Multicat has twin screw electric driven main controllable pitch propulsion and the control systems were from Norris Germany. Our team inspected the vessel & studied the existing controls & came up with a solution which required only replacement of the controllers, I/O cards and the valve drivers. The rest of the wheel house control plates and the cabling remained the same. Given the existing location of the controllers in the engine room, more suitable high temperature i/o’s were used. There were challenges during the installation as the systems were to be built on board the vessel and tested. With excellent team work and support from the vessel staff we completed the retrofit, FAT on board and sea trials were successful. Another Successful commissioning! TRITEK P&A FZC supplied the variable frequency drives and controls systems for the Podded bow tunnel thrusters for 5 new build hulls SH026 to SH030 (KN Yefyus, KN Edam, KN Miangas, KN Berhala and KN Rapat). 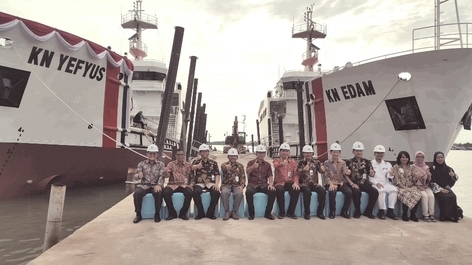 The series of vessels were ordered by PT Palindo Marine in Batam by the Indonesian Ministry of Transportation through the Navigational Directorate General and will be navigating the territory of Indonesia. Mr. Harmanto Managing director of the shipyard expressed his satisfaction at the quality and service support provided by team TRITEK for this project. 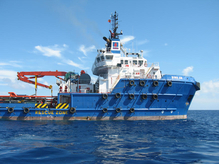 Team TRITEK completes another Successful challenging DP 2 Conversion for PTSC Marine Vietnam. The scope covered the GAP study, supply & installation of a Marine Technologies DP 2 system with position reference sensors and modifications to the switchboards and propulsion controls to be in compliance with DNV DPS2 Notation & IMCA Guidelines. A turnkey job, involving the up gradation of the Terasaki Switchboard for split bus operations, retrofit of the ZF retractable Azimuth thruster controls and modifications on the existing Rolls Royce propulsion controls. 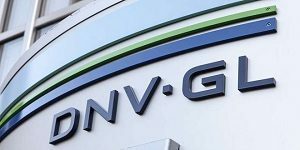 “Very professional and expertise, very good knowledge of all the DNV rules. Management decision to keep Tritek the only company for all DP Conversions requirements for PTSC Marine.” Commented Mr. Bul Trung Hung, Operations Deputy Manager. 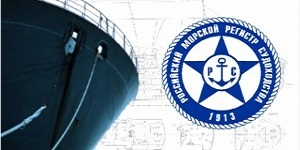 Tritek has successfully applied for RMRS recognition as a marine manufacturer. The type approval is a part of the market penetration strategy to reach the important Russian market. With this, Tritek can justify its products in the world’s largest country and the clients can be assured that the brand is worth their trust.